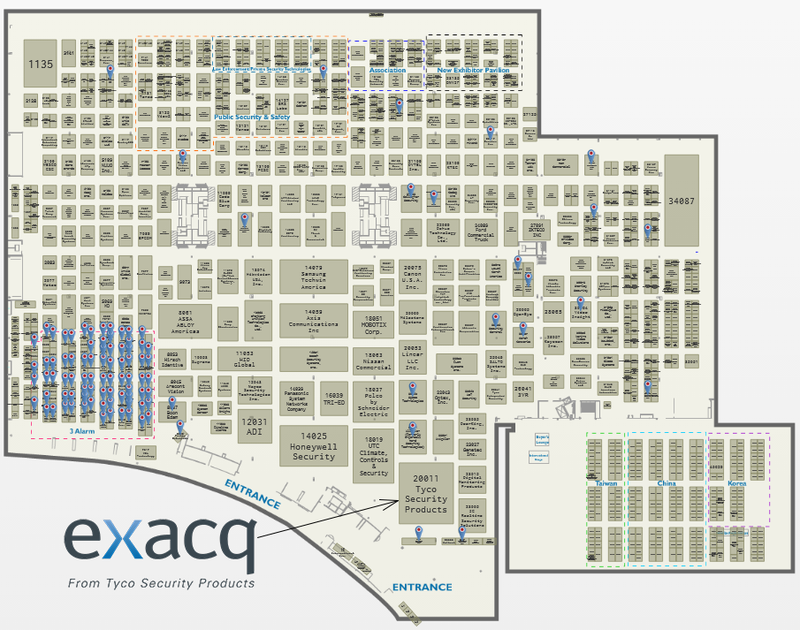 ISC West is only one week away! April 2 – 4, 2014 at the Sands Expo & Convention Center, Las Vegas. See a live demo of exacqVision 6.0, with radically faster search through our new SpeedSearch technology. exacqVision 6.0 has over 100 new features and improvements, including advanced camera configuration, more responsive PTZ controls, and integration with over 1,800 IP camera models! There is still time to register and join us in our booth. We’d love to see you there. ASIS International 2012 just wrapped up in Philadelphia. It was a very good tradeshow for us. 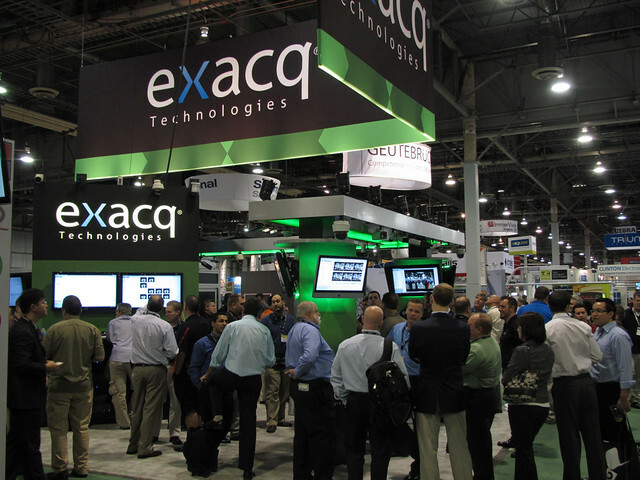 Although show attendance was perceived to be down by some accounts, the Exacq booth was very busy the entire show. 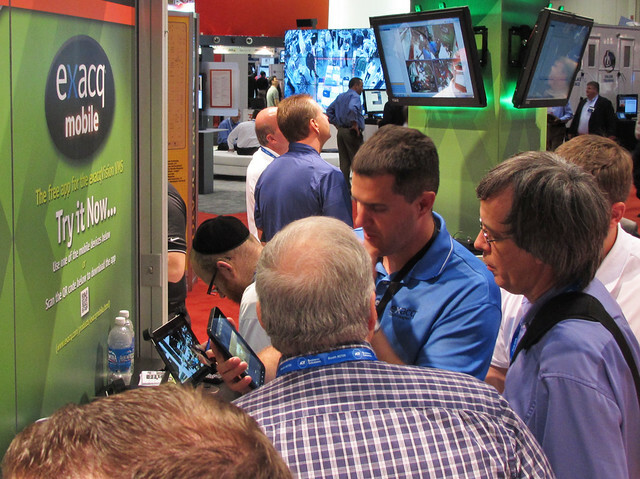 In our booth at ASIS 2012 was the first showing of exacqVision 5, the latest version of our exacqVision Video Management Software, which will be released September 17. One of the key features in Version 5 is Multistreaming support. Multistreaming allows the ability to set multiple, independent video streams from the IP camera. Each stream can be set at different frame rates, resolution and quality level, ideal if you require remote viewing over a limited-bandwidth connection, but want to retain the highest resolution for recording and local viewing. Up to four streams per camera can be selected, depending on the IP camera model. In addition, up to eight ‘Region of Interest’ streams can be setup on select Arecont Vision cameras, allowing for true cropping of individual, independent streams, and a full realization of the benefits of multi-megapixel cameras. With exacqVision Multistreaming, all streams can be recorded, viewed live, saved to views, exported, and available in search and playback. No additional licensing is required; the standard exacqVision camera license enables up to four video streams, and up to eight Region of Interest streams are available on Arecont Vision cameras. Supported IP cameras for multistreaming in Version 5 include Axis, Arecont Vision, Panasonic and ACTi, with more coming. Over 240 IP camera models will be supported in multistreaming in this release, with more coming. Multistreaming is supported in exacqVision Pro, Enterprise, and Edge. Multistreaming in exacqVision Version 5. The “child” streams appear in the camera tree under the “parent” stream. Other features in Version 5 shown included a vastly faster exacqVision client, with full processor multithreading support, providing a smoothness and fluidity of video display that is up to 6x faster than previous clients. Search speed is also improved, providing a 2x speed improvement in downloading searched video. A new Auto Export feature allows for automated backups to user-selected storage. 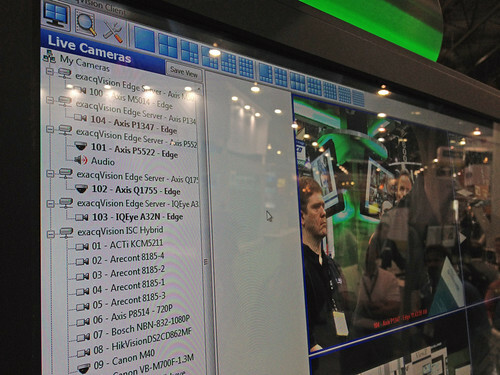 exacqVision Edge, the full VMS running on an IP camera, was in full force at this years show. In addition to supporting Axis IP cameras, two new IP camera Edge platforms were added in Version 5: IQeye and ISD. 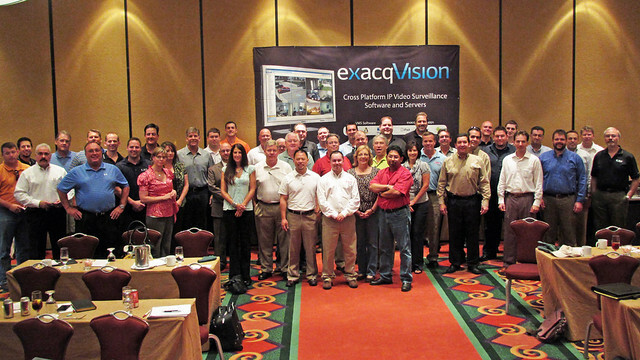 exacqVision 5 will be released Monday, September 17, 2012. A new version-level upgrade promotion is available as well. 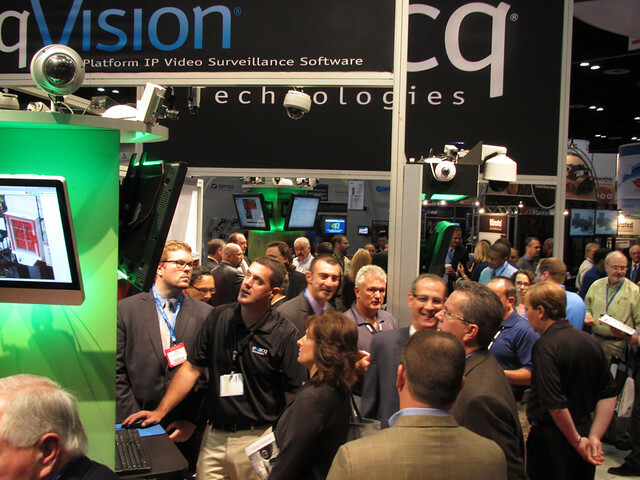 exacqVision was featured in many booths around the show floor, including Samsung, Panasonic, Anixter, Bosch, Axis, Winncom, CNB, NVT, IQeye, IDenticard, and Tyco Integrated Security, among others. We appreciate everyone that stopped by our booth. Some pictures from the show are below, and the full picture library from ASIS 2012 is here. 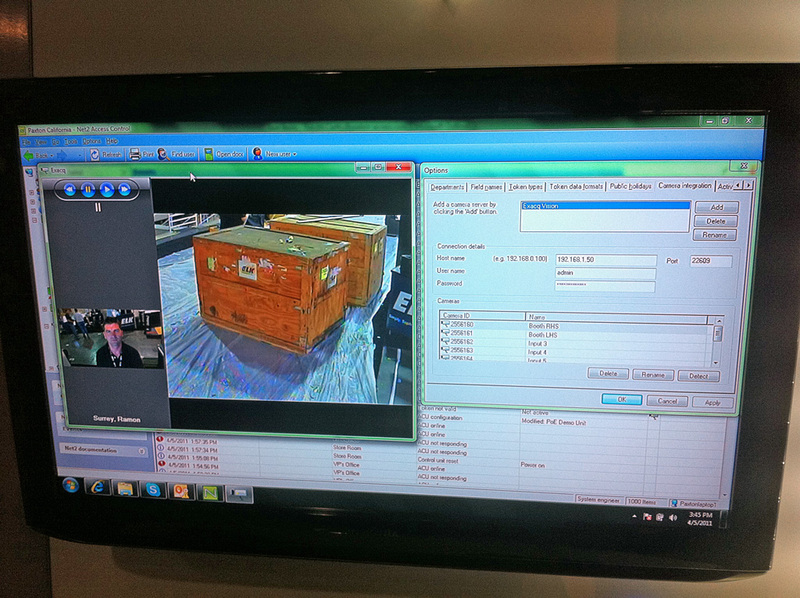 Our new exacqVision Edge product, a complete Enterprise VMS server running on an IP camera, was featured. Initially supporting Axis IP cameras with ARTPEC 3 & 4 processors, exacqVision Edge loads directly onto the IP camera. Edge provides complete exacqVision Enterprise functionality without the need for an external server. Edge cameras appear in the camera tree just like cameras from any other server, and can be mixed and matched with existing exacqVision servers. Ideal for add-on cameras to existing systems where additional servers are too costly or not practical, for wireless outdoor cameras where consistent network connectivity is an issue, for short-term or covert deployment where there is no network connectivity, and for installations requiring distributed storage for high reliability. Ease of deployment for integrators: install and configure exacqVision Edge at the shop, then simply ship the cameras to the site for mounting and POE connection to network. exacqVision 4.9 – Our latest release, Version 4.9, includes extensive new Search and Playback features, including Thumbnail Search. Finding the desired video is faster and easier than ever, and thumbnail search is ideal for low-bandwidth remote connections. Other new features include significant client video display speed improvements, new enhancements to exacqVision Video Wall including switched Views on alarm, enhanced Maps with integrated Soft Triggers, server management enhancements with new S.M.A.R.T. monitoring capability, new Hikvision native IP camera support, new fisheye IP camera support from Vivotek and ACTi, new encoder support from Axis, and more. exacq Mobile 2.4 – The latest exacq Mobile release features significantly faster initialization and start times, true full-screen mode, easier add-camera functionality, and new support for the Amazon Kindle Fire tablet, in addition to Apple iPhone, iPod Touch, iPad, and Android phones and tablets. exacqVision Surveillance Keyboard – The new Surveillance Keyboard was shown, an ideal add-on to exacqVision systems. PTZ Joystick, 10 button numeric entry, 16 user defined buttons, left/right arrow wheel, and firmware custom-designed for exacqVision VMS. 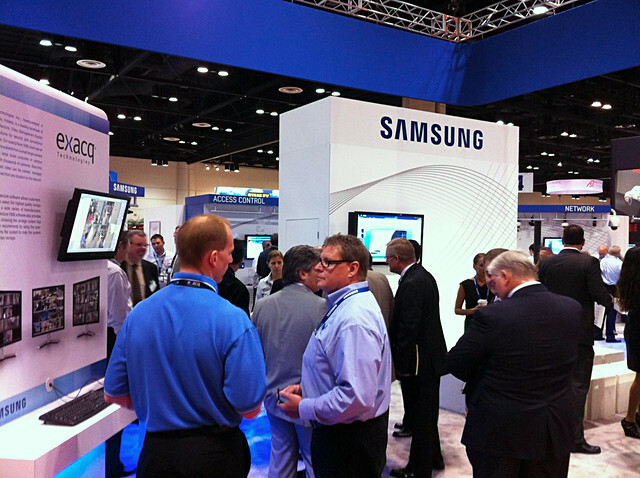 Elsewhere on the show floor, exacqVision integration with IP cameras was featured in the Samsung booth, in the Bosch booth, in the IQinVision booth (running Edge), in the CNB booth, and in the StarDot booth. On the Access Control side, exacqVision integration with PremiSys Access Control system was featured in the IDenticard booth, and integration with S2 NetBox and S2 Pronto Access Control systems was featured in the S2 Security booth. Distribution partners Anixter and ADI were also highlighting exacqVision. 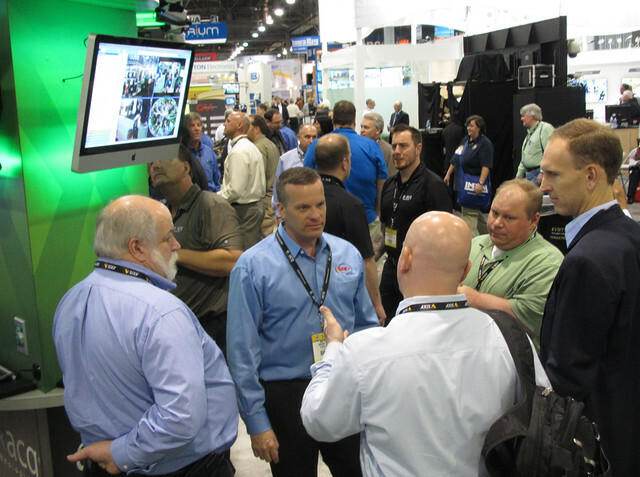 We certainly appreciate all of our integrators, distributors and end users who came by the booth. 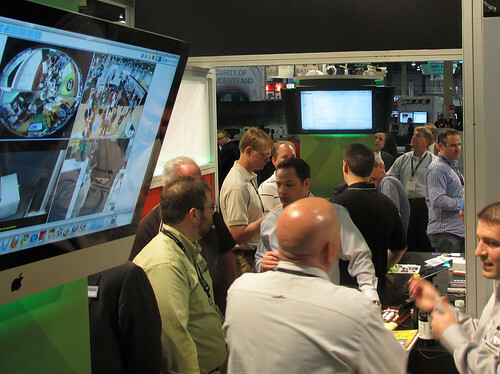 Weâ€™ll be back next year for ISC West 2013. Some pictures from the show are below. You can also view more pictures here. 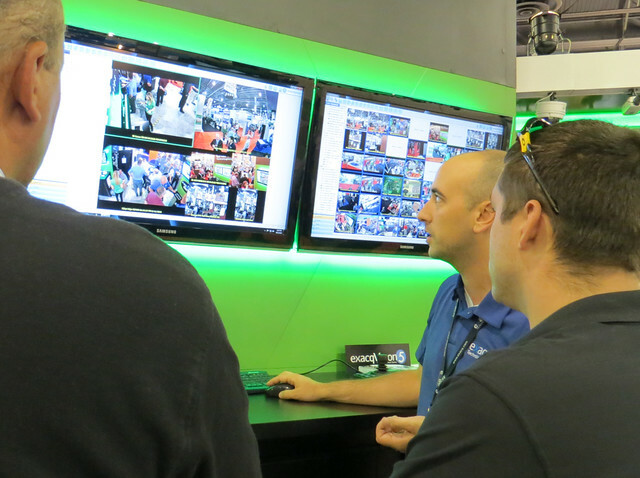 Combining the ease of use of exacqVision VMS software with the essential features necessary for low-cost video surveillance, exacqVision Start VMS software is ideal for stand-alone installations of 30 cameras or less. The complete supported list of IP cameras can be used with an easy auto-scan to detect and configure. Live views, saved views, exacqRecall instant playback, video search, POS/ATM search, configuration, all included. Windows, Linux or Mac. In addition to the exacqVision Start client, the web viewer is included, as are the exacq Mobile iPhone, iPad and Android apps. exacqVision Start is available on the entire EL-Series of embedded Linux appliance servers, or can be installed on third-party servers. A review of exacqVision Start from IPVideoMarket.Info can be found here. exacqVision Start will be released in early May. We featured the upcoming exacqVision Pro 4.6 release, available through the exacqVision Certified Reseller channel. New features we showed include Audit Trail, a new Enterprise Camera Management feature, a re-designed Notifications setup page, and support for the new panoramic cameras from Scallop Imaging, in addition to a number of new supported IP cameras. exacqVision Pro 4.6 will be released in early May. We also showed an exacqVision Pro 4.7 feature: dewarping support for lenses and cameras from Immervision and Sentry360. Version 4.7 is targeted for late May. 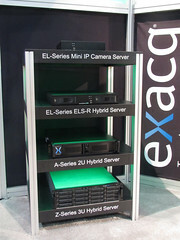 The full line of exacqVision Hybrid and IP Servers was featured. exacqVision EL-Mini – The EL-Mini is our newest, lowest-cost IP appliance server. With the ability to connect up to 24 IP cameras, the EL-Mini is ideal for low-cost installations. The embedded Linux operating system and exacqVision software are on a solid-state drive, for high reliability. The Intel Atom processor runs cool with very low power consumption. Up to 2 TB of hard drive video storage are available. 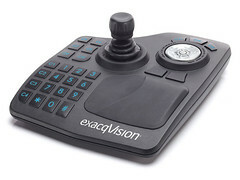 The EL-Mini is perfect for either exacqVision Pro software or exacqVision Start software. The EL-Mini is shipping now. exacqVision ELS-R – New in the EL-Series of embedded appliance servers is the exacqVision ELS-R. An update to the current EL-S, the ELS-R adds two front removable drive bays, providing internal storage up to 4TB, and the ability for user configurable storage options. exacqVision ELS-R is shipping now. exacqVision Z-Series â€“ All Z-Series line of Hybrid and IP enterprise servers now come standard with 8 IP camera licenses, with the ability to connect 96 IP camera licenses total. All Z-Series servers also now come standard with Three Years of exacqVision Pro software updates. This is on top of the Three Year hardware warranty. Three Years Warranty & Software Updates – The entire line of exacqVision servers now include Three Years of exacqVision Pro software updates standard, on top of the Three Years hardware warranty. Our latest exacq Mobile apps for iPhone, iPad, Android phones and Android tablets were featured. The new exacq Mobile apps have added the ability to control triggers, and sport a more intuitive user interface. All exacq Mobile apps are available on the iTunes App Store and the Android Market at no charge, and work with any exacqVision deployment. 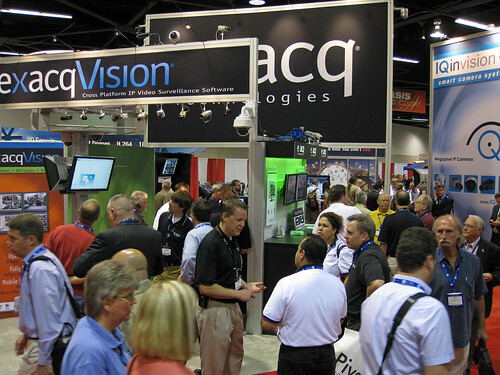 exacqVision was featured in a number of booths around the show floor. IDenticard introduced new integration of exacqVision with their PremiSys access control system (picture). S2 Security was featuring exacqVision integration with their NetBox and Pronto access control systems (picture). PlaSec was featuring exacqVision integration with their Classic Appliance and Enterprise Appliance access control systems (picture). 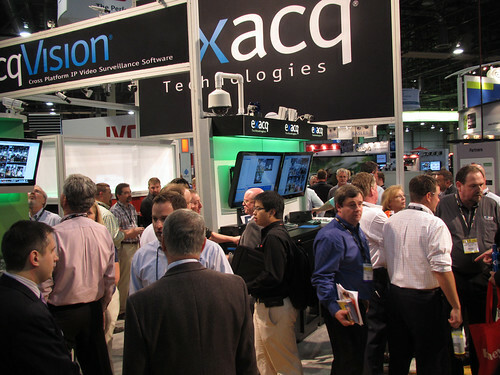 Paxton Access was featuring exacqVision integration with their Net2 access control system (picture). On the IP camera front, Exacq was one of the sponsors of the ONVIF Interoperability Showcase. Pictures from that event are here and here. 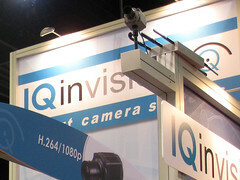 exacqVision was featured in a number of IP camera vendors’ booths, including StarDot and Vivotek. Here are some of the pictures from the show floor. You can view the complete album of pictures on our flickr page. 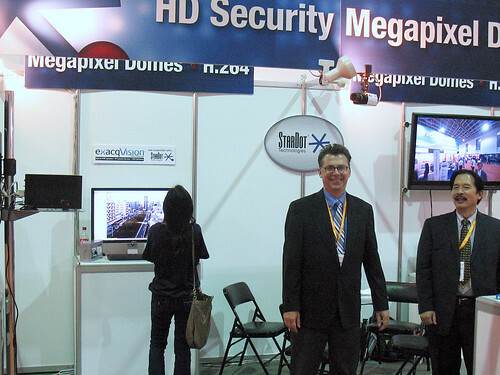 We are once again getting ready for Security Essen, the semiannual physical security tradeshow held in Essen, Germany, October 4-7, 2010. 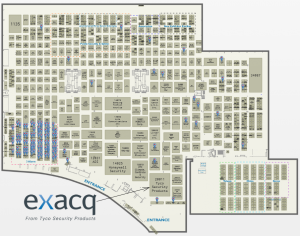 Exacq’s booth is Hall 5 #120K in the USA Pavilion. We’ll be showing the latest features in exacqVision, including the new ONVIF compatibility in exacqVision 4.4, the latest features in Exacq Mobile, our iPhone & iPad app, and a new Enterprise Health Monitor program that provides monitoring, assessment and action for exacqVision system health events in a large enterprise video surveillance deployment. On Thursday, Oct 7, Exacq will be participating in the ONVIF Public Plugfest & Reception, held in the New York Hall in the Essen Trade Fair grounds. Exacq is one of the sponsoring exhibitors of the Essen ONVIF Plugfest, and we’ll be showing certified compatibility between exacqVision and ONVIF-compatible IP camera models from Axis and Bosch, including the Axis M1031-W Wireless Network Camera and the Bosch NBN-498-22P Dinion2X D/N IP Camera. 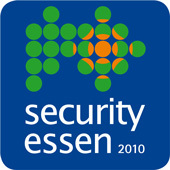 More information on Security Essen is available here. 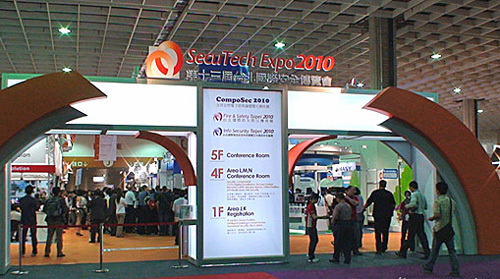 SecuTech Expo 2010, one of Asia’s largest physical security tradeshows, began today in Taipei. 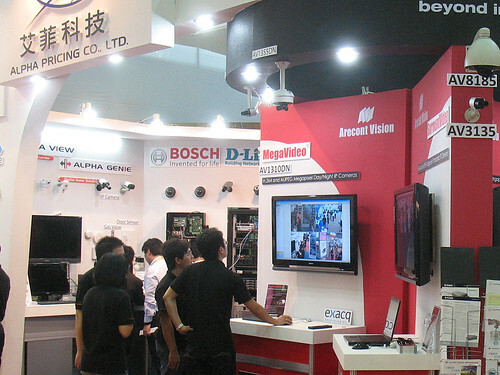 exacqVision is well represented at this year’s show, reflecting the rapid growth we are seeing throughout Asia. Alpha Pricing Co., the Exacq distributor for Taiwan, has a large booth showcasing a number of the vendors they distribute. 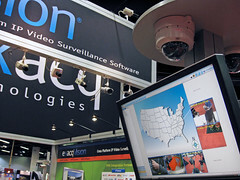 The exacqVision product line is prominently featured, highlighted by connecting megapixel IP cameras from Arecont Vision and others. MegaPixel IP camera vendor StarDot is featuring exacqVision VMS software in their booth to demo their new line of H.264 multi-megapixel IP cameras. Stretch, Inc, is highlighting the new exacqVision EL-S embedded Linux Hybrid NVR appliance, which utilizes the Stretch S6000 processor for H.264 video compression. The exacqVision VMS software is also running on the Stretch VRC6404HD board, designed specifically to connect to HDcctv cameras. Stretch is one of the founding members of the HDcctv Alliance. SecuTech continues for two more days. 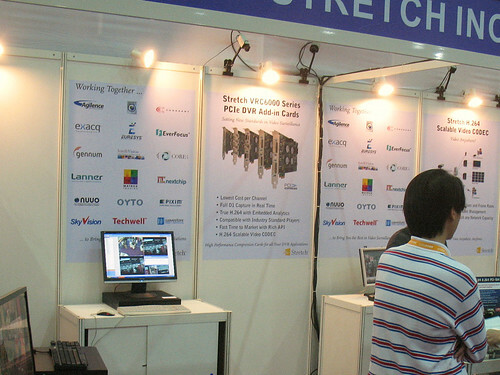 You can see exacqVision at Alpha Pricing booth #L627-L632, at StarDot booth #K724-K725, and at Stretch, Inc. booth #L410-L412. You can click on the images below for larger versions. 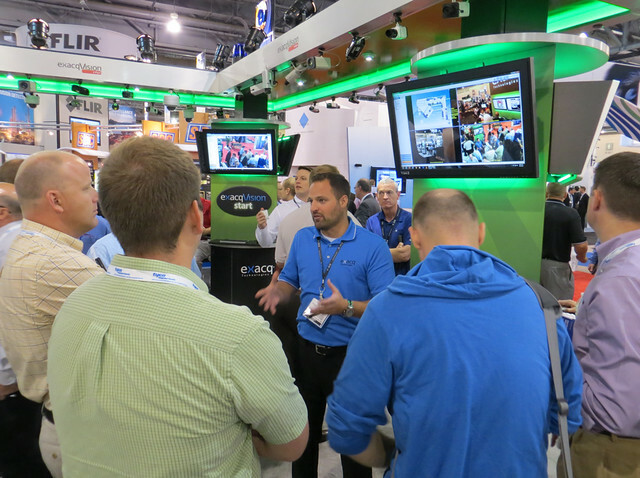 ISC East wrapped up yesterday. By all accounts, it was a great show. Good selection of vendors, great educational sessions, and a lot of attendees. The attendance levels were commented on extensively in the trade media. We were there showing the upcoming Version 3.7 of exacqVision software in the Winsted booth, and there were crowds in the booth both days, all day long. 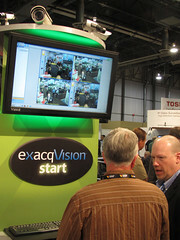 exacqVision was also being featured in other parts of the show, including the StarDot booth. Geoff Kohl of SecurityInfoWatch.com came by and talked with us, and he featured Exacq in his extensive Podcast coverage of the ISC East show. We appreciate the complimentary things he had to say about us. Geoff’s comments about Exacq start at exactly 7:00 minutes in. Our thanks to Winsted, StarDot, and the organizers of ISC for a great show. 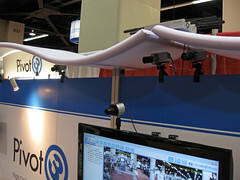 We just returned from an extremely productive ASIS 2009 in Anaheim. 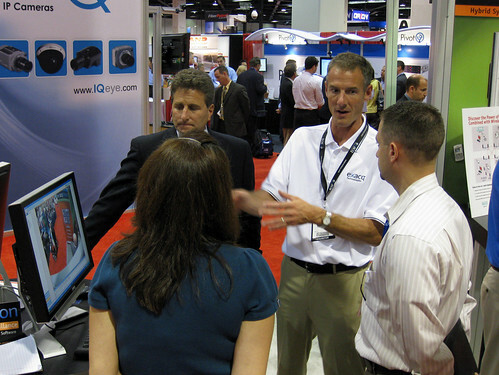 New exacqVision features were introduced, the booth was packed throughout the show, and we participated in a number of multi-vendor demonstrations and seminars. Smart Search enhancements – further search granularity that returns just the video segments when a particular portion of the image changed. Works across all cameras (IP and analog), and allows for playback, scrub, export, and save of just the smart-searched video. Multi-System User Configuration – part of the new Enterprise Server option in Version 3.6, this feature allows for quick and easy administration of user accounts across all servers in an enterprise deployment. Mapping – highly intuitive and simple to use. Maps are integrated right into camera views; any number of maps can be used; maps can come from any source. Cameras, audio, POS streams, etc. can be dragged onto a map, alarm events produce animated icons on the maps, video sources can be pushed from maps to viewing panes. Nested maps allow additional detail (entire campus, building, floor, wing, etc) and alarm events on a nested map can “bubble up” to the top level map for instant assessment. exacqVision Web Server enhancements – upcoming release enables viewing cameras from multiple servers simultaneously, search and playback across multiple cameras, ability to save and e-mail/text a URL of a specific camera view grouping. exacqVision Web Server comes standard with exacqVision software. The multi-booth wireless IP demo worked flawlessly. 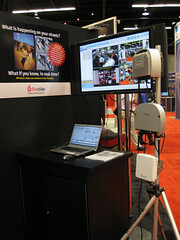 Firetide set up wireless mesh nodes in their booth and in the Exacq, IQeye, Pivot3, and Anixter booths. 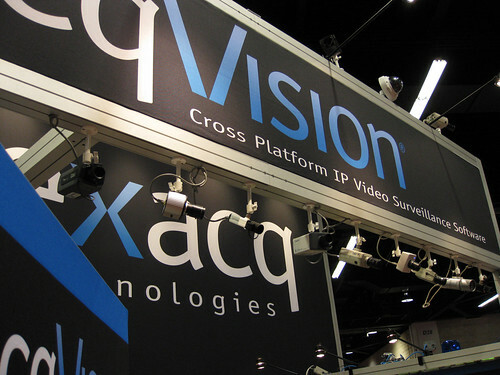 IQeye megapixel IP cameras were connected in all five booths, video was being recorded on a Pivot3 iSCSI SAN storage with an embedded virtualized server running exacqVision server, and exacqVision clients were in multiple booths enabling viewing, searching and playback of the video. This was a great real-world open-standards technology display. More pictures from Firetide here. 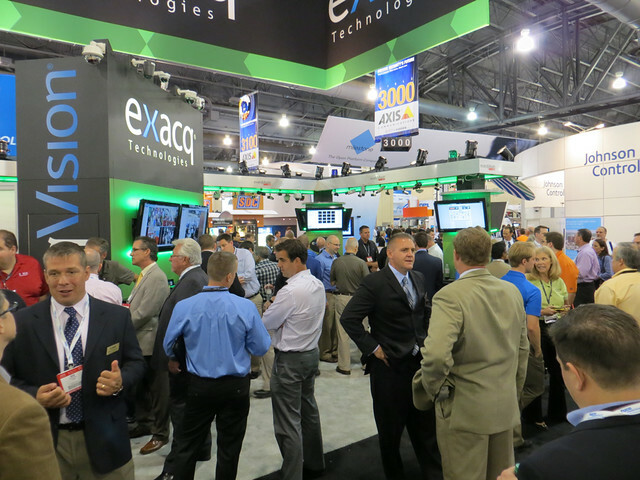 Exacq was once again featured in the popular ASIS seminar What’s New On The Floor, a review of the hottest products to see on the show floor. We had our engineering contingent at the ONVIF Annual Meeting on Wednesday. Exacq is an ONVIF member. Monday evening saw a great turnout for our Manufacturer Rep & International Distributor meeting, where we reviewed our product and sales roadmap for the next year. Tuesday night was baseball night courtesy of our channel partners at Security-Net. It was the Angels-Yankees game at Angel Stadium, and Security-Net presented Exacq with an award at the tailgate reception before the game. 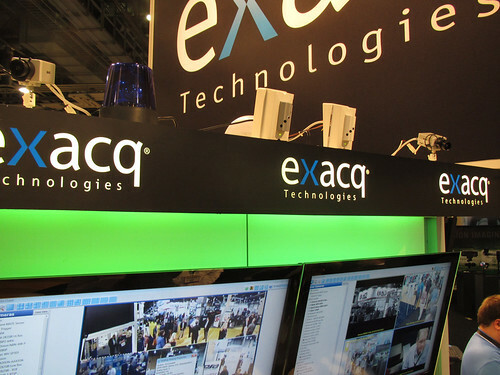 We appreciate everyone that stopped by our booth, as well as all of our technology and integration partners who were showing exacqVision running with their products in their respective booths. Below are some pictures from the show, click for larger versions. More ASIS 2009 pictures here. 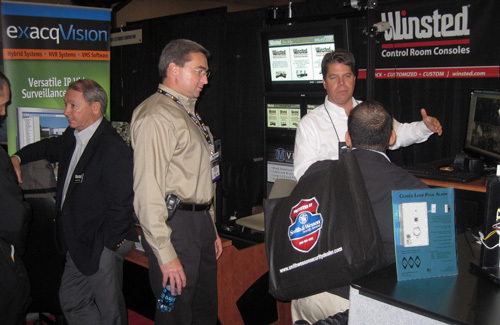 At ASIS 2009 next week (Sept 21-23) we’re participating in a four-booth live demonstration of IP technology interoperability. Exacq (booth #347), Firetide (booth #447), IQinVision (booth #353) and Pivot3 (booth #453) will be showing a real-world example of how easily standards-based solutions from open-system vendors can be integrated and supported from the field. 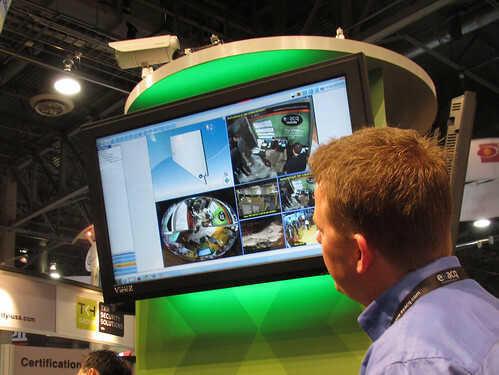 The live demonstration will feature wireless distribution, storage, and playback of HD/megapixel video over a wireless network across these four separate booths on the ASIS show floor. 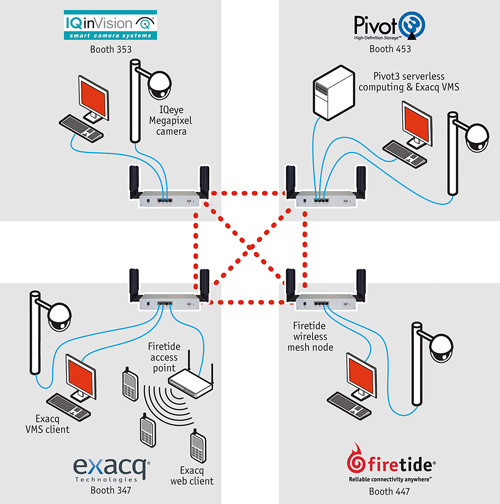 Video from IQeye megapixel cameras in each booth will be streamed over a Firetide wireless mesh network connecting the four booths. The video will be subsequently captured and displayed remotely using the exacqVision Video Management System (VMS) running on Pivot3 iSCSI SAN storage with embedded virtual servers. 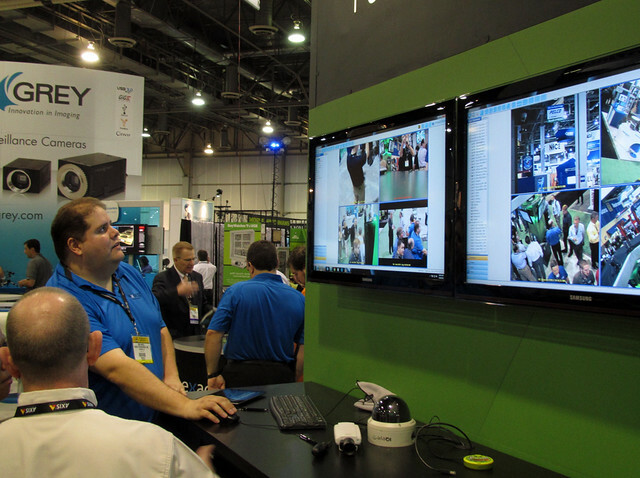 Centrally captured video will then be viewable and searchable from remote computers in each of the partner booths and on smartphones. A detailed description of the demo is in this flyer. The press release for the demo is here.